I was on a tour to the beautiful islands of Andaman and Nicobar and found this tour an opportunity to initialize Mozilla Location Service (MLS) by stumbling in the places I visited. 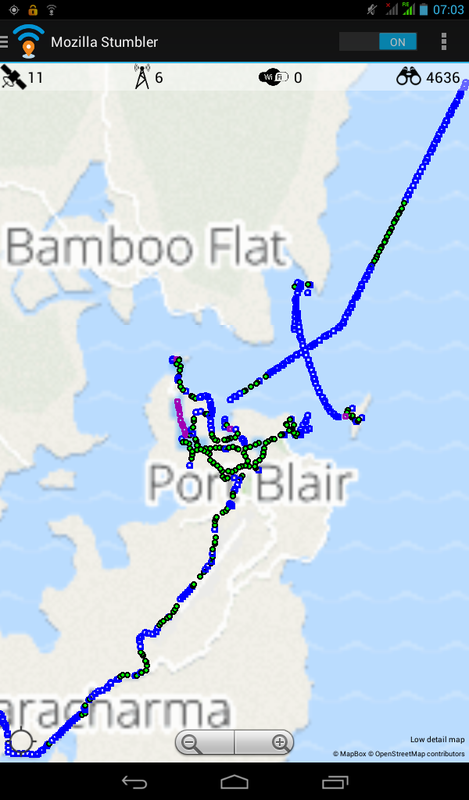 The map of Port Blair on 1st day of stumbling. Andaman and Nicobar islands comprises of a group of 572 islands out of which 34 islands are populated with human settlements. There are several tribal communities which till today’s date avoid outside human interference. With very less population density, the area is a bit isolated with a feasible internet bandwidth. The spectrum available for internet is 2G and not populated islands provide minimal internet support. However, the frequent Wi-Fi connections can be traced in the populated areas of towns. The map of Port Blair on 4th day of stumbling. 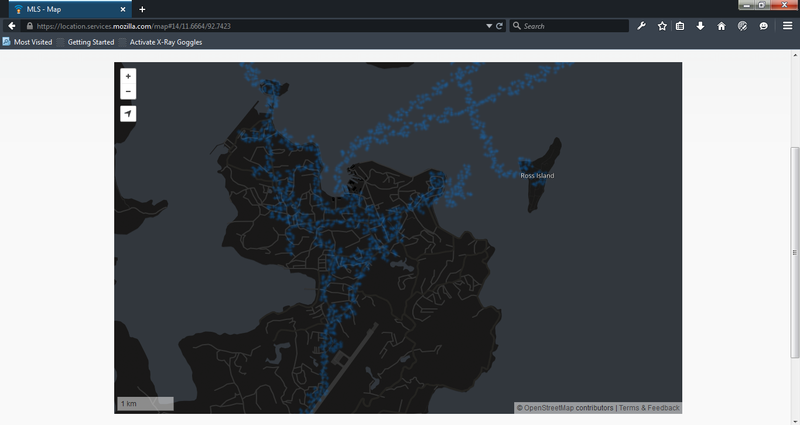 I grabbed a chance to educate the local cab drivers the way to use the Mozilla Stumbler application and I hope for a brighter map till the end of this year. 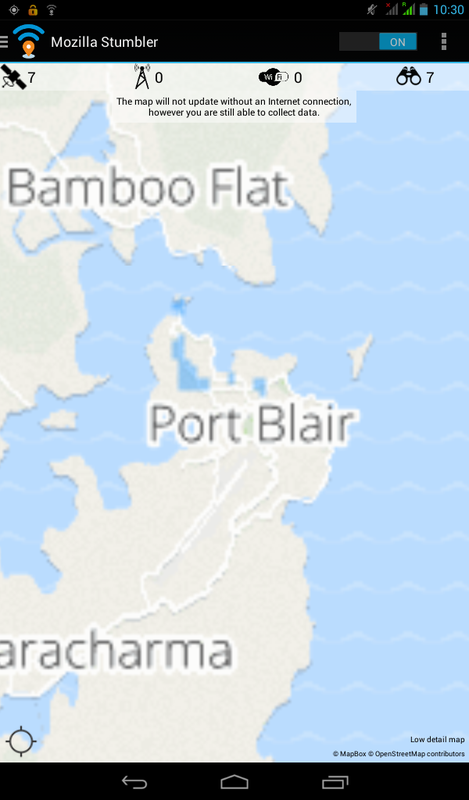 The map of Port Blair till today afternoon.